From a quick pick me up to deeply therapeutic, our facial menu can address all of your skincare needs. Allow our Master Estheticians to address your skin concerns in a relaxing, tranquil environment. 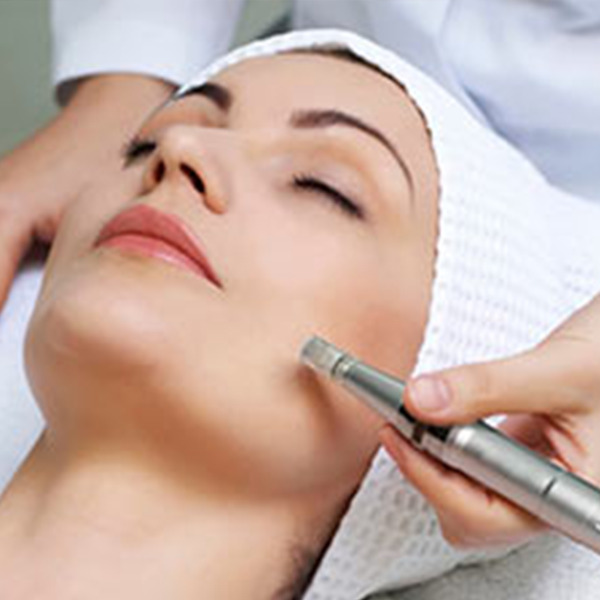 Advanced treatments customized to address aging, hyperpigmentation, scarring and more. Our Master Estheticians will guide you to the best treatment option for your skin concerns. Hydrafacial M.D. is a breakthrough skin resurfacing technology that combines cleansing, exfoliation, extraction, hydration, and antioxidant protection all into one, painless treatment with immediately noticeable results. We are proud to offer the highest quality Hydrafacial in the industry. Express Hydrafacial - Our express Hydrafacial MD treatment is an abbreviated version of the Deluxe Hydrafacial. This treatment combines deep cleansing & exfoliation, extractions, and an infusing of antioxidants, peptides and hyaluronic acid. This treatment provides similar resurfacing benefits to a microderm, with the added benefit of the hydrating infusion of antioxidants, peptides and hyaluronic acid. Does not include a peel.